WanderMan: Getting Lost - Is It Time For A New GPS? OK, I admit it....I have an older GPS. It's been upgraded and upgraded, over and over for quite a few years, but it's beginning to show its age. There's no support from the factory anymore and updates to maps (unless you count DIY) are non-existent. Lots of folks are using their cell phones for navigation, but I like to have my phone for phone calls, not attached to the dash or window, reading out my trip plan. How often has an interruption like a phone call came in JUST when you need to make a turn? Nope, I'll stick with a standalone unit. So how do you pick one out? My first GPS was a Garmin with an LCD backlit screen and no navigation built in at all. It figured out where you were based on satellite positions and displayed it on its screen. There was a "base" map, but most roads under county sized weren't included. Next up, another Garmin with a 4.3 inch color(!) screen and a pretty decent United States map built in. The latest one I have is yet another Garmin, this time with a 5-inch screen and lots of extra features I don't really use. Like bluetooth phone compatibility and music playback from media files. My current stereo does both and sounds a whole lot better! Following my tradition, I am likely going to get a 6-inch or 7-inch Garmin with lifetime map updates. I used to get ones with lifetime traffic, but that really isn't all that useful on an RV trip. Well, at least not for me. I try and avoid traveling during rush hours and try and plot my routes around construction. In the handicap accessible van I've got a nifty Rand McNally one that has a 7-inch screen and seems to work well, but unlike the Garmins I am familiar with, I am unsure if it can be upgraded. POI's (Points of interest) are a nice thing to have as well. They help you find restaurants, fuel, lodging, etc. I know on my Garmins I can add my own databases of POIs. I have one that gives me all the low clearances on the routes I travel and beyond. Just a little bit of searching online for something that interests you will garner many results. Try it, you'll like it. I did toy with the idea of using an old android tablet with a 10.4-inch screen as a navigation device, but decided a purpose-built system would be better. I know Google Maps is quite amazing, but what if you have no access to the internet AND forgot to download the area for offline use. There are also a few models designed for RV use, but with a premium over and above the cost of a "regular" model. I can add POIs to mimic most of the RV specific features anyway. Of course, there are other brands (Magellan, TomTom, etc.) that work fine too. The choice, as always, is yours. As long as you still carry an old fashioned foldable road map, just about any GPS is fine. But nothing beats the 'in-your-lap' map for looking ahead and plotting a course. I agree, and think it important to look at the map and visualize and understand the route in advance in case the technology fails. I spent hours one day trying a find a campground that my GPS couldn't find. I was just visiting someone camping near my home, so didn't have a map in the car. It is now! I picked a Mac (Rand McNally) which routes me on roads with underpasses taller then my rig. With updates, it's taken me from coast to coast, Canada to Alaska and I've never encountered an underpass I couldn't use. It can be used in the car, but a phone is better there. I just used it when traveling from Torrey, UT to Vernal, UT. I picked the longer route of the two it gave me (still had to climb to 9000+ ft) because I could see the shorter route was a lot higher and had hairpin curves. It has been back to the factory when the battery failed and I've had some problems with it, but it's been a reliable travel companion for the most part. 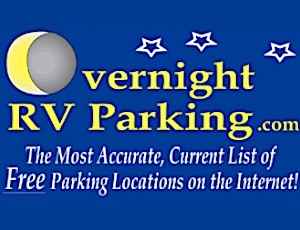 I often use the POI feature to find my next campground. Most are listed and makes it easy to do the routing. Thanks for the tip. I am going to test the Magellan I have side-by-side with my Garmin(s) and see what the route variances are. For years I have used MS Streets & Trips or Delorme on a small Windows based computer connected to a 10" monitor. A GPS antenna on the dash provided the connectivity to the satellites. Now, both these programs are gone. I liked the convenience of plotting a course on my desktop and transferring it to the on-board computer. The 10" display is the biggest thing I like - I can see it. Now I am looking for something else and it may be a stand-alone unit. 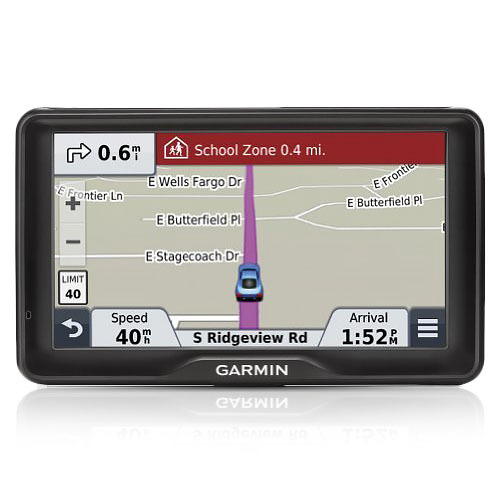 Garmin does have some programs for the desktop, but require a stand-alone GPS to be connected to the computer for creating a trip. I wish one of the companies would come out with a stand-alone unit that I could attach to a larger screen, or that came in a 10" size. I have a Magellan Roadmate Pro model RP9365T-LM which includes a campground database and lifetime updates. I also have a simpler Garmin for use in the car. Some differences I have observed: Magellan has changed their update software multiple times, and each update is more difficult to use than the previous. Some updates have required several days and multiple phone calls to their support line (phone support is good). On one occasion an update 'bricked' the Magellan - to their credit they sent me a free replacement. Updating the Garmin has been fast and simple, never had a problem or needed to call tech support. Both have misrouted me on occasion, but the Magellan does so much more frequently. On several occasions it has routed me in a circle, such as 10 miles north on a divided highway, then 10 miles back south. Most times I have had a good enough idea of the correct route to ignore the instructions. The Garmin has not sent me in circles, but on one route did want me to drive across a corn field. Magellan's campground database is wonderful and works 99% of the time. But when it fails, it can put you in the middle of a residential neighborhood (it was tough getting back to the highway) or miles away from the correct location. I have found it best to program the Magellan the evening before travel and then check its routing against paper maps and Google.